Grant Yellow System Round Low Level Balanced Standard Flue Kit EZ200B has been developed to make the installation of Grant boilers both quick and simple, whilst ensuring trouble free operation - even in the most exposed site conditions. 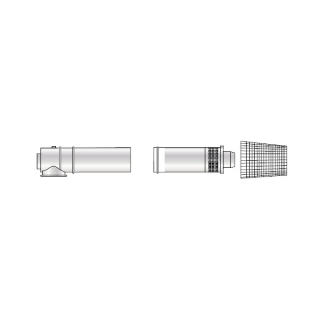 The flue terminal has a compact design, making it ideal for installations where the visual appearance is important. The cone design reduces the possibility of condensate, produced in the combustion process, staining external wall surfaces or patio slabs.